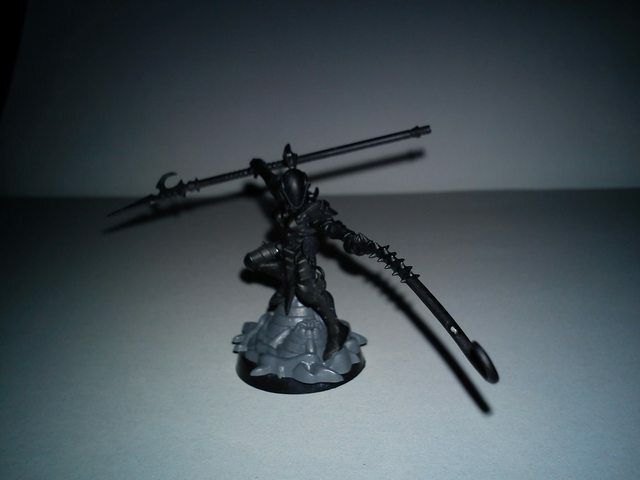 1) Can y'all give me some examples of kitbashed archons? 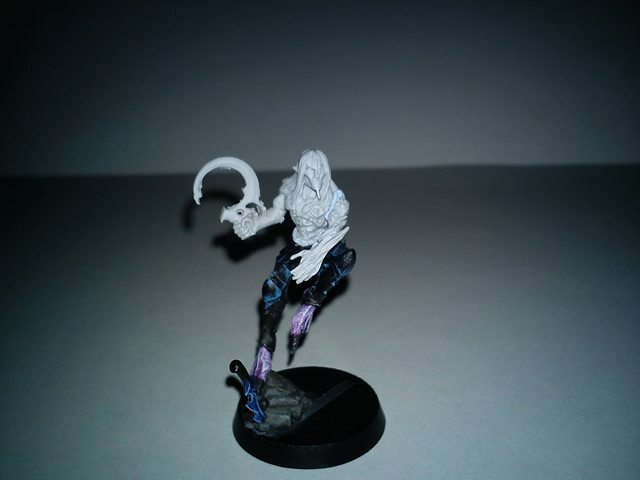 I am thinking of just using the 5 extra kabalite bodies I have and bits from leftover wych, scourge and kabalite bits to make up a couple archons instead of buying 2 clam packs. 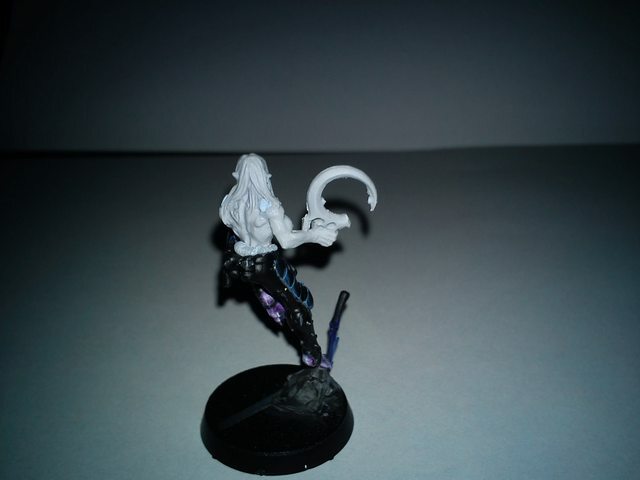 2) How do you make the succubus model differ between 2 identical models? I have 2 start collectings, and I want both of my succubii to be at least somewhat unique. Would a head swap be a good call? 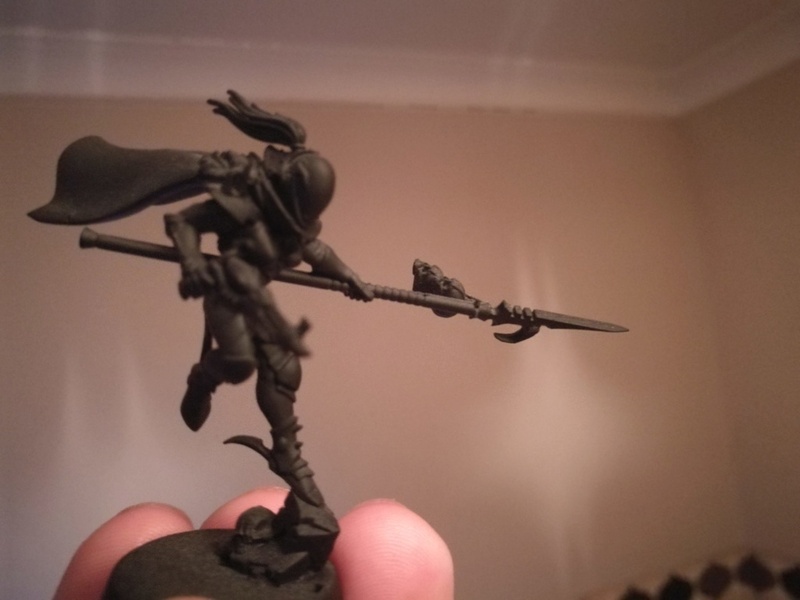 I think there are some cool wych heads, and I could give her a blast pistol over the agonizer (I'll probably want her swinging the archite glaive anyhow)? I'm gonna be a bit annoying and answer these the other way round. Swapping heads is a good start with identical models like the Succubi and Archons, but I also feel that it's good to have them with a different loadout, even if you're only changing one weapon. 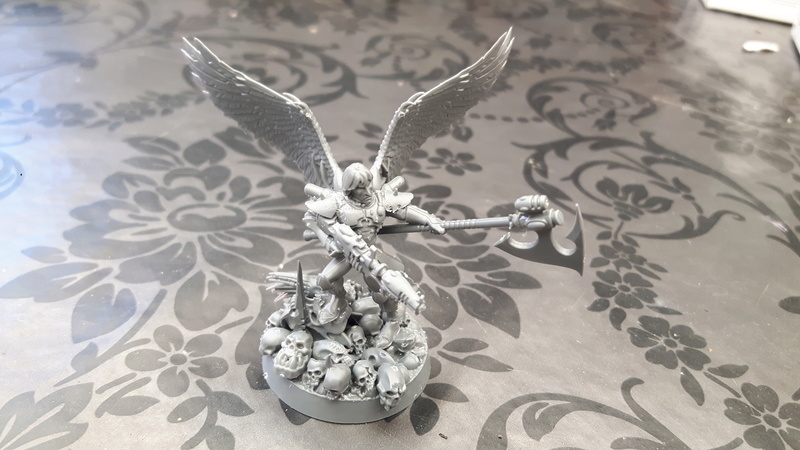 I have four GW Archons and two GW Succubi, each with a different loadout and head - when I did my second Succubi, I swapped her head with one of the Hekatrix heads from the Wyches, and swapped her Agoniser for a Blast Pistol, so there's definitely plenty of scope to modify them. And here it is painted up, with a pair of Sslyths that are also partially kit-bashed (in terms of their weapons). 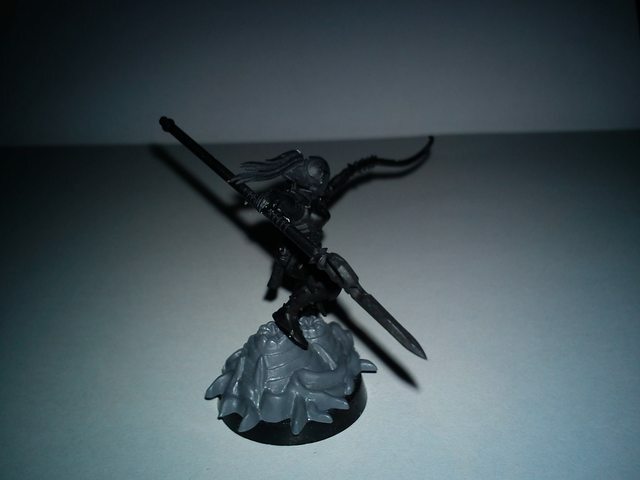 I also plan to completely kit-bash a third Succubus at some point in the near future - she'll be equipped with a Shardnet and Impaler, seeing as they can take Wych Weapons as a wargear option. 1) I don't know how much help my conversions will be, as they all use stuff from outside the starter set. However, I'm happy to post them in case they can be of some use to you anyway. This chap arose because (for reasons I won't go into), I ended up with a Mandrake model with a deformed lower half. Since I really like the Mandrake sculpts, I wanted to try and use the upper half somehow. I'm trying the Scourge legs partially to try and make it more dynamic and partially because I thought the clawed feet might be a good fit. Not sure yet whether he'll keep the hook, though I see it's lost its handle at some point. 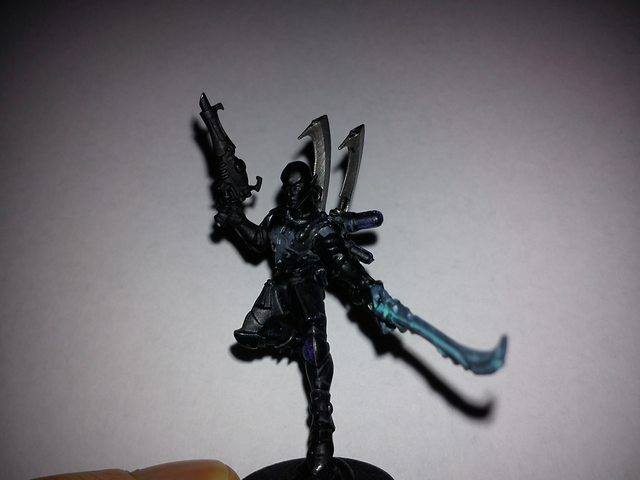 I had some 'spare' Scourge legs and wanted to use them for a more traditional Archon, with this being the result. Not sure I like the head, though I think the pose is okay. I found that I'd run out of decorative bits, so I used a couple of Hellglaive blades (which also covered up the wing slots in the back nicely). This is one of my favourites (even though I still haven't got around to painting the sod). He'll also have a holstered pistol (from the Raider or Venom kit IIRC), but I forgot to put it on him before taking the pictures. Anyway, this was one of the models that resulted when I started taking the extra models that come with the Venom and Raider kits (which normally cling to the sides of the model) and re-purposing them as regular troops. In this case, I found a bit of Tyranid scenery for her to pose on. To be honest, I think this one could easily pass as a Succubus with minimal modification. I might even end up using her for that since, as you may have already gathered, I'm not exactly short on Archons. I appreciate that this one is pushing the definition of 'kitbashed', since all I've really changed is the weapon. It does have some relevance, but I'll get to that in a minute (and I promise I didn't just want to prove that I own at least 1 model that's actually been painted ). Anyway, as with the first one, this is because I really love the Mandrake sculpt and hate having to use them as single-wound fodder. I thought that the flames were a decent stand-in for a pistol (particularly the Soul-Seeker relic, which is what I always field him with). I used one of the knives rather than a full sword because I found the swords to be a little too large. To my mind at least, it would just end up looking oversized and unwieldy, so I instead to take a more creative approach to the 'Huskblade'. Rather annoyingly, I realised that a different dagger would have been even better, but I didn't come across one of those until I'd already glued this one in place and painted it. 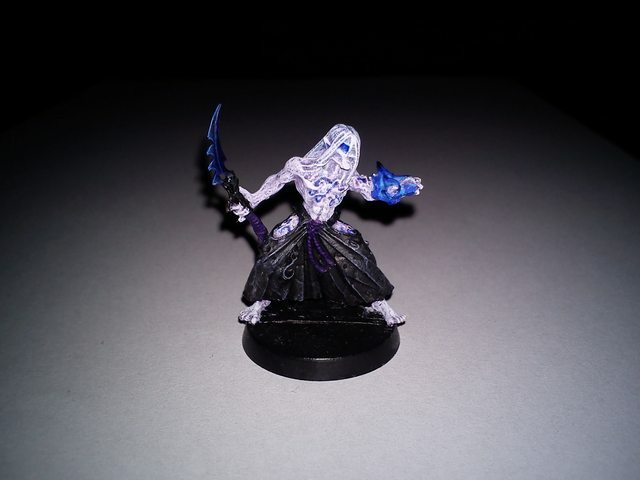 The 'Albino Mandrake' paint scheme was to make him visually different from both other Mandrakes (though I usually use different models for those anyway) and also from the rest of my army. Probably not tournament legal but I like him. - In terms of heads, try having one with a revealed face (perhaps one of the ones with long/extravagant hair) and the other one with a mask. - Use different legs and torsos, so that you can pose them differently. This should help greatly in making them visually different. - Similarly, if you can pose one on scenery or such, that could help differentiate them. - Use different decorations. Maybe give one the Trophy Rack bit and either leave the other bare or give her a Phantasm Grenade Launcher back (add some skulls or such if you like, to make it look like a different flavour of trophy rack) or some of the dangling chains from the Venom kit. - If you're making the Glaive from other parts, you could use different parts for each one. e.g. give them both Hellion Glaives, but then leave one unmodified and on the other, replace the blades with something else (maybe the blade from a Power Sword or Venom Blade). - If you're willing to compromise on the gear at all, that could help. For example, even if you want both to have Glaives, giving one an Agoniser and the other a Pistol should make a significant difference in terms of their silhouette. - Finally, don't forget that (after you're done kitbashing) your colour scheme can also make a big difference. Painting them in noticeably different colours or hues could help to differentiate them even further. Anyway, I hope something here is of use to you. Best of luck. Wow, thanks man! Just an FYI though, all of your spoilers I couldn't see :/ All of you advice will be taken to heart for sure. 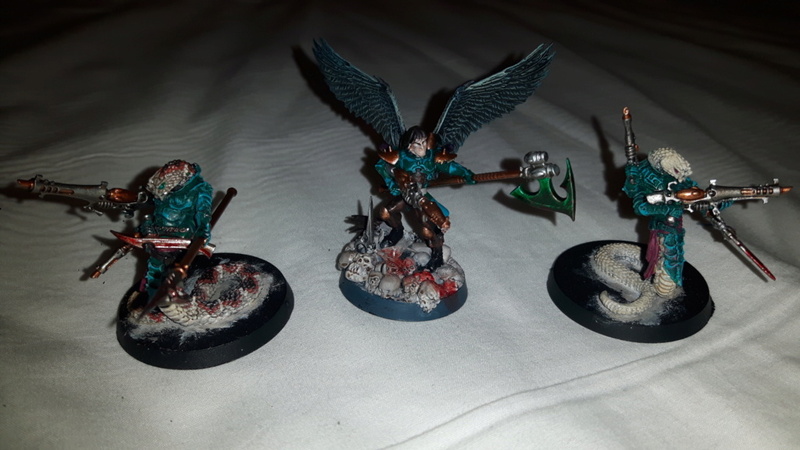 I am hoping to have the first 3 jetbikes and their riders done, and my 2nd succubus by the end of the week I think. The jetbikes go together like a dream, just like the craftworld one's I have done in the past. Hmm, that's odd. You are clicking on the spoilers to open them, yes? They seem to be working fine for me so I'm afraid I don't know what the issue is. Anyway, I don't want to flood the thread with unspoilered pictures, so instead I'll give you the direct links to the pics I used. Hopefully you'll have more luck with them. 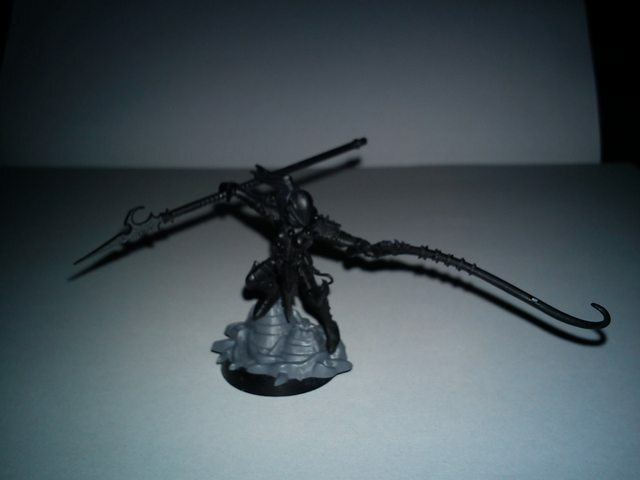 Mostly simple kabalite warrior and scourge bits but the cloak is from the old dark elf dark riders box. Took a fair bit of chopping and whittling to get it to fit on the kabalite torso considering it came with its own torso already attached but I think it more or less worked out in the end.